someone in a breakaway before the long cobles. Janicke tested the peloton with some attempts, but no one seemed interested to join. The second-long cobbles would shatter the peloton, and a breakaway of four got away. 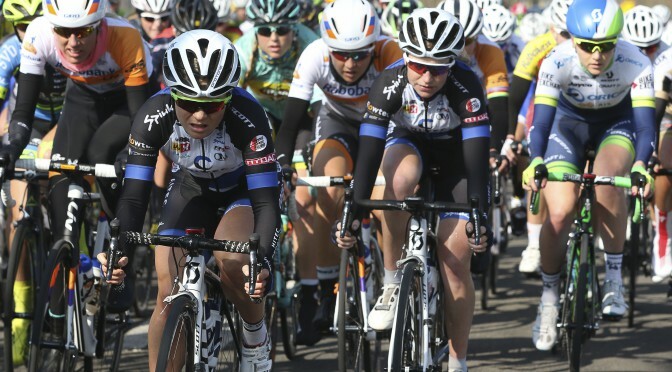 Our girls soon found themselves in the main peloton, but it would be too late to bridge to the breakaway. With a lot off sickness in the team last few weeks, Thea had to stop with fever. Emilie suffered with back pain but fought to the bitter end to help the team. It would also be Laurens time to not feel so good. 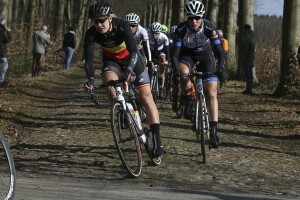 Somehow Lauren still managed to sprint to a super 8th place behind the breakaway with good help from a strong Julie. Our team debutant Simona also showed her strength contributing to the team effort in her first road race of the season. Two top ten results in the two very different Worldtour courses, well done by Lauren and the team. The race was won by Chantal Blaak (Boels Dolmans) with Gracie Elvin (Orica High5) in 2nd and Trixi Worrack (Canyon-SRAM) in 3rd. 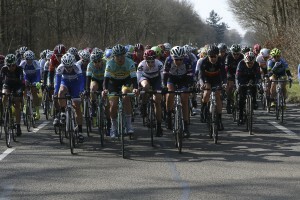 Sunday was another hectic race where positioning would be important. Thea could not start with fever, Emilie had to stop as the back pain was getting worse, and the rest of the team did not have a good day on the bike. The team suffered and missed out as the groups split and finished the race feeling disappointed. The race was won by Leah Kirchman (Liv Plantur) ahead of Christine Majerus (Boels Dolmans) and Anouska Koster (Rabobank-Liv). The good thing is, already next weekend there is a new chance to chase good results as we line up for the third round of the WWT, Trofeo Alfredo Binda. We bring Sundays lessons learned with the positive from Saturdays race with us into the fight for a new top result in Italy! 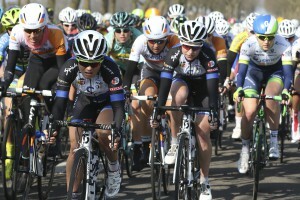 Julie leading the peloton at the Ronde van Drenthe. 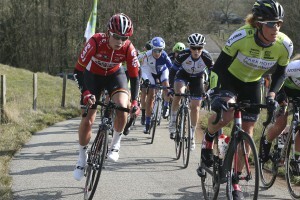 Emilie keeping Lauren safe in Drentse Acht.